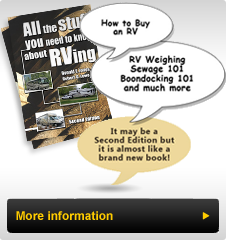 Every so often people contact me with information they found useful in repairing their RV and they send it along to me. Such was the case with this set of instructions for servicing and cleaning the Hadley Horns found on the roof of many RVs. These instructions are from Hadley and they provide useful information that I thought others could use. There are two PDF documents which I have included links to below. Hopefully, if you have a set of Hadley Horns that you find this information useful.